Gang we want and encourage folks to post comments both good and bad. This site is about improving the sport of Lacrosse and celebrating it. If you have negative comments to post about a program that is fine. But please do not use individuals names especially if you are going to post anonymously. I am happy to hear that the season is going well for the Plainview PAL program, and I wish you all the best. Keep us updated and good luck with the rest of your season, and thanks for posting. Undefeated regular season in 2007 and offand running at 3 and 1 this season. If you know nothing about the Plainview Lacrosse program and are just a disgruntled Plainview Baseball player, please keep your opinions to yourself. 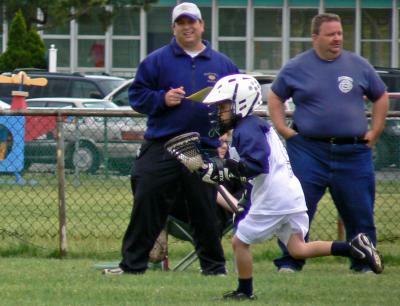 PAL only provides field permits and insurance for Lacrosse and does not have any other influence or authority with the Plainview Youth Lacrosse program. Which was very successful last year and is off to a great start this season. With the head of PAL in Plainview the program went downhill. The people who run PAL sports are ruining PAL. These same people are part of the Board of Directors of Plainview Little League.........which right now is a mess.....money has been stolen. Join in and write your own page! It's easy to do. How? Simply click here to return to New York Lacrosse.